Was Emergency Indira’s move alone? Or was she ‘led’ to it? Four days after her rail minister L.N. Mishra was killed on Jan 3, Indira wanted RSS-Jana Sangharsh Samiti banned. A day later, S.S. Ray wrote her a letter urging Emergency. 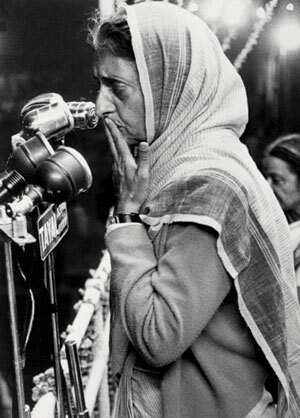 Today, a quarter century after her violent death, fresh evidence would suggest that, in the troubled run-up to the Emergency, Indira was “led” far more than is believed—and not just by son Sanjay Gandhi. There was also the triumvirate, comprising Barooah and two others: West Bengal chief minister, legal expert and childhood playmate Siddhartha Shankar Ray and Bombay Pradesh Congress Committee chief Rajni Patel, the Left-leaning, Cambridge-educated barrister and party fund-raiser, whom she had known since her days in the UK. Barooah was part of the group because of his proximity to Fakhruddin Ali Ahmed (who was from a UP family that migrated to Assam), a close friend of Ray. That she was increasingly relying on this trio for all constitutional/legal advice is well-known, but the extent of its influence is emerging only now. The triumvirate, it was whispered at the time and hinted at later in books, had been urging Indira to impose Emergency for a long while, and well before the Allahabad HC judgement. Now, Outlook has incontrovertible proof that the first attempt to impose Emergency was made in January 1975, five months before this draconian measure received presidential approval. He tells Indira that he has already given Om Mehta, the minister of state for home, who was more powerful than Brahmananda Reddy (then Union home minister), some instructions, adding, “...I would want you (“you” is underlined twice) to order Bhramananda (sic) Reddy to do this immediately. A secret telex message should go at once to every chief minister (Congress) directing him to prepare a list of all prominent Anand Marg and RSS members in his state. He need not be told of any ordinance but he should have this list ready.” The tone is authoritative, of one used to “commanding” Indira, of someone totally in charge. We just finished the meeting at Barooah's. I wanted to tell you something very urgently but you are at some state dinner. I am therefore sending you this hurried note. Nothing had been done—no list prepared, nothing whatsoever. Some people here do not realise the seriousness of the situation in the country. But Barooah and Rajni were helpful and Ghokale will have a draft ordinance ready by tonight. We have decided on the guidelines and we are meeting again at 9 am (ugh!) at Ghokale's tomorrow so that he can come to you with something. I told Om to do another thing and I would want you to order Bhramananda Reddy to do this immediately. (x) A secret telex message should go at once to every chief minister (Congress) directing him to prepare a list of all prominent Anand Marg and RSS members in his state. He need not be told of any ordinance but he should have this list ready. The idea is to swing into action immediately after the ordinance is ready--and it has to be ready in 24 hours time from now. I hope the President will be readily available to sign the ordinance. Also, a special cabinet meeting should be called either tomorrow evening or night or very early in the morning the day after (this is in case the ordinance takes more than 24 hours to be finalised). A sense of urgency runs through the entire letter. “The idea is to swing into action immediately after the ordinance is ready and it has (“has” is underlined twice) to be ready in 24 hours time from now.” He then expresses the hope that the President will be “readily available” to sign the ordinance, instructs her to call a special cabinet meeting “either tomorrow evening or night or very early in the morning the day after”. The letter ends with Ray urging Indira to “insist on the ordinance being ready by the (next) evening” and to ring up Reddy that very night. 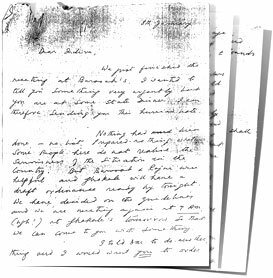 Not only is there a sense of urgency running through Ray’s January 8 letter, the tone is authoritative, of one used to “commanding” Indira, of someone totally in charge. This attempt failed. 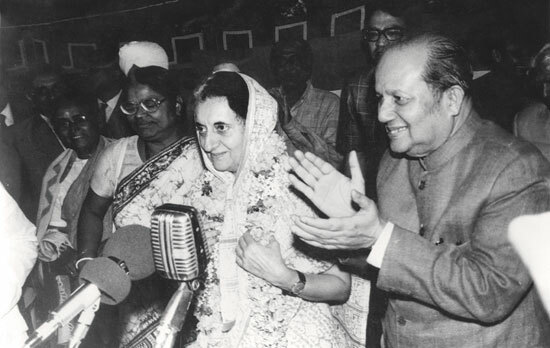 But the triumvirate—and Gokhale—did visit Indira on January 9, 1975, something B.N. Tandon, a joint secretary in the PMO at that time, recorded in his diary (published in 2003 as PMO Diary-I: Prelude to the Emergency). “There was a high-level meeting in the PM’s room today,” he notes, “in which Barooah, Rajni Patel, Ray and Gokhale participated.” He then speculates on the meeting’s subject and concludes that perhaps the idea is to dissolve the Lok Sabha in March and hold elections in October which, he says, would be “very wrong”. Indeed, this is probably the letter that Granville Austin refers to in his masterly Working a Democratic Constitution: A History of the Indian Experience, but which he had clearly not seen. “Although it seems clear that imposition of an emergency of some kind had been decided for some time, the veil of secrecy does not permit us to know,” Austin says in the book, “when the stratagems of declaring a second ‘internal emergency’ (an external emergency had been in force since the Bangladesh War) emerged. But the idea had been ‘mooted’ in January 1975 by S.S. Ray (and had) discussed with P.N. 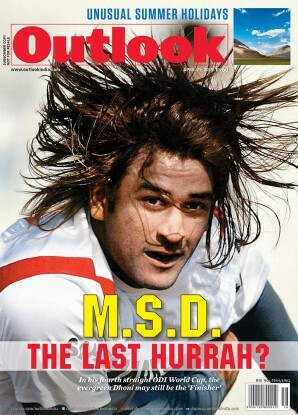 Dhar the idea of declaring an economic emergency”. Union surface transport minister Kamal Nath, a close associate of Sanjay Gandhi, confirms that the idea of imposing Emergency was in the works for several months before it happened. Asked why she didn’t see through Ray’s advice, Indira said she was unfamiliar with the Constitution. Ray confirmed to Outlook that he had written many such letters (see interview on page 24), and Rajya Sabha MP R.K. Dhawan, Indira’s powerful personal assistant at the time, confirms the veracity of the January 8 letter. “From 1974, this group was urging her to take tough action to control the opposition leaders. In January 1975,” Dhawan told Outlook, “they urged firm action and spoke of drawing up a list of persons to be arrested.” But neither Ray nor Dhawan explain why Indira did not follow up on the advice at this stage. The timing of the letter is interesting. It was written five days after the then Union railway minister L.N. Mishra (the focus of most of the corruption charges levelled against the government) was assassinated in a bomb explosion at Samastipur railway station on January 3, 1975—a murder that hasn’t been solved to date. On January 7, Tandon records that Indira wants the RSS (the backbone of the JP movement) and the Jana Sangharsh Samiti to be banned. He says that his colleagues in the home ministry have pointed out that new laws “will be required for this, the Emergency would have to kept in place and perhaps a new one”. And then comes Ray’s letter the next day. Ray’s role in the actual imposition of Emergency is very well-known, as is his steering of the controversial 39th and 42nd amendments to the Constitution which sought to give the prime minister more powers. Looking back, senior Congressman K.P. Unnikrishnan, who was an MP at that time and part of the socialist bloc in the party, says, “Ray was not corrupt, he was an able lawyer, but he had a halo because he was Chittaranjan Das’s grandson. His political understanding was very limited, so he didn’t give very good advice. She should have confronted the JP movement politically—not through the Constitution.” Unnikrishnan is, of course, indulgent about Ray; those familiar with his role in crushing the Naxal movement in West Bengal in the early 1970s will hardly be surprised at his prescription for dissenters. Inder Malhotra, who has written a definitive biography of Indira Gandhi, had asked her many years later why “she had failed to perceive the catch in Ray’s advice and overlooked the fact that something which might be technically legal could rob her of legitimacy in a trice”. Similarly, P. Shiv Shankar, who defended her in various courts of law during the Janata rule and later became her law minister, told Outlook that she had told him that she was unfamiliar with the Constitution and was, therefore, not able to judge for herself the impact of the Emergency provisions. “Three persons who understood the Constitution came and told me and I agreed with them,” she told Shiv Shankar. Of course, it would be unfair to hold the triumvirate as being solely responsible for the Emergency. In the early days, the leftists in the party urged Indira to adopt a confrontationist attitude to the JP movement; then, of course, there was the overweening ambition of Sanjay Gandhi. Curiously, these two groups—the triumvirate, and Sanjay and cohorts—were at loggerheads. “Ray wanted everyone to agree with him and he suddenly found that Sanjay had emerged and had Mrs Gandhi’s ear,” says Kamal Nath. “The triumvirate wanted to control all access to her but this opened up another channel to her, another listening post. The triumvirate felt threatened.” This clash, ultimately, resulted in Ray parting company with Indira and testifying against the Emergency in the Shah Commission. 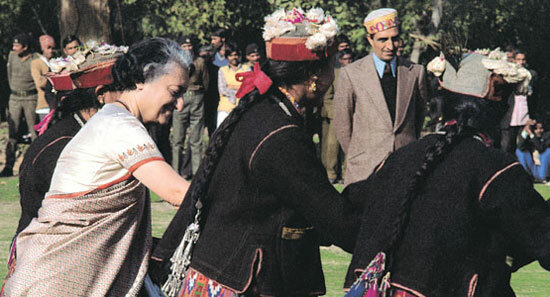 But Indira was not convinced. Later that year, she urged a Youth Congress delegation heading to Vienna to tell members of the Socialist International that she was forced to impose Emergency but that it was not a permanent thing, just “a bitter pill for a disease”—a delegation member told Outlook. 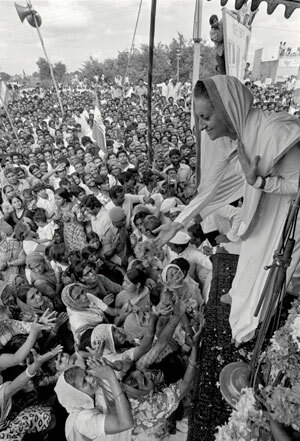 The experience of Emergency—and the defeat thereafter—left Indira shaken even after she returned to power in 1980. Historian Bipan Chandra recalls that when he asked Indira Gandhi in March 1984 why she delayed action against Sikh militants (she had been advised to act in 1983 when a dsp was killed outside the Golden Temple), she told him, “I now no longer feel as strong as I once did.” Clearly, the ghosts of Emergency haunted her till her dying day. The PM did not really comprehend the devaluation package negotiated by experts. Her instincts told her there would be a political recoil. But she was persuaded otherwise.